LAX, Ontario, Burbank, or Orange County: which one should you fly to? When planning a trip to Los Angeles, your first inclination may be to check flight prices at Los Angeles International Airport (LAX). 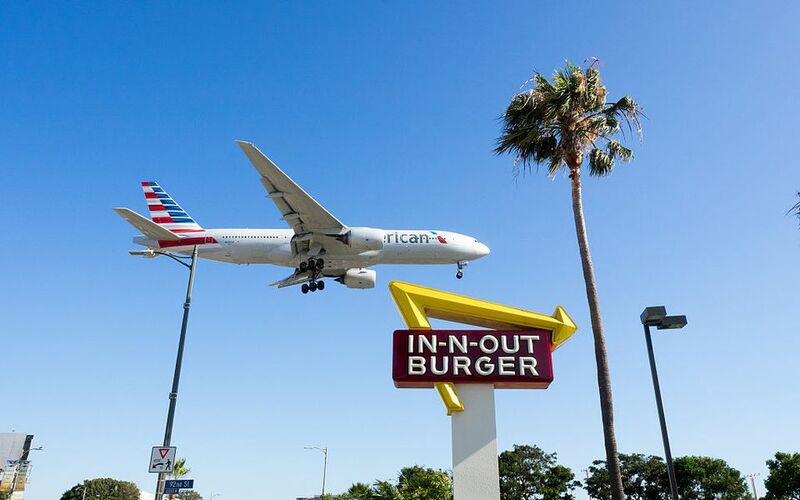 Although it is the largest airport in the Greater Los Angeles area, it's not your only gateway into Southern California — especially if your trip involves going to Auto Club Speedway, Disneyland, or visiting the Inland Empire. LAX is one of the busiest airports in the world, serving as a hub for all four major American carriers and Alaska Airlines, with over 80 million passengers transiting through its nine terminals. It's also one of the slowest to get into and out of, with the most chances for delays. More and more, travelers are taking advantage of flights into the other four major LA-area airports: Bob Hope/Burbank International Airport, Long Beach Airport, John Wayne Airport and Ontario International Airport. No one airport is consistently cheaper, so it pays to compare prices each time you fly. Do take into consideration any additional cost that may be incurred getting from a more distant airport to your end destination. What you save in airfare, you may end up paying for higher shuttle or taxi fees if you’re not renting a car. Depending on where you're flying from, LAX may be your only choice — but if your itinerary is taking you somewhere else than Los Angeles, you can sometimes save a significant amount of time and money by flying into an alternate airport. Before you book your ticket, here are your five options. Best known by it's IATA abbreviation of "LAX," Los Angeles International Airport is located on the west side of Los Angeles adjacent to Dockweiler Beach, just south of Marina del Rey. If you are staying in the western beach cities, Beverly Hills, Downtown Los Angeles, or any of the surrounding communities, LAX is probably your best bet. LAX also offers the most flights to Southern California by all five major American carriers. American Airlines offers the most flights in and out of LAX, followed by Delta Air Lines, United Airlines, Southwest Airlines and Alaska Airlines. Out of the Tom Bradley International Terminal, over 20 international airlines serve 85 international destinations on every corner of the world. After landing at LAX, you have plenty of options to get around the city and on to your destination. The FlyAway Bus offers regularly-scheduled trips to several popular destinations, including Hollywood, Downtown Los Angeles, Long Beach, and Westwood/UCLA. Long distance vans operated by Roadrunner Shuttle can take you all the way to Simi Valley, Ventura County, or Santa Barbara County. Public transportation options, including taxis, buses, and shuttles to Metroline Stations are also available. Getting to Disneyland in Anaheim may be a little more difficult. Ridesharing can cost up to $48 one-way for the 33-mile drive, while a taxi can cost up to $88 before a tip. Shuttle services are also available, where individuals share a van to a common destination. For those who want to save money, consider the Disneyland Resort Express bus service operated by Disney for a nominal fee, or utilize public transportation. Once considered a favorite of local flyers and executives, Hollywood Burbank Airport (BUR) is located in Burbank, nearby to the film and television studios. Formerly known as Bob Hope Airport, the Burbank-Glendale-Pasadena Airport Authority re-branded the air terminal in 2016 to reflect it's proximity to the entertainment industry. As a much smaller airport, only six airlines fly to BUR: Alaska Airlines, American, Delta, JetBlue, Southwest, and United. Of these, Southwest offers direct service to BUR from ten cities in the Western United States. Alaska offers three flights from West Coast cities, United offers service to two of their hubs, while American and Delta only operate one flight to their west coast hubs. JetBlue is unique, offering direct service to BUR from John F. Kennedy International Airport in New York. BUR is the only airport in the Los Angeles area to offer Amtrak and MetroLink service at the airport's Regional Intermodal Transportation Center, along with bus service throughout the region. The combined transportation center also serves as the rental car center. Shuttles, taxis, and ridesharing are available at the ground transportation islands in front of the airport. Of all the airports, BUR may offer the easiest access to Disneyland. With Amtrak, you can catch the Amtrak Pacific Surfliner to the Anaheim Amtrak/Metrolink stations, and take the Anaheim Resort Transit Route 15 bus to Disneyland. Taxis and limousine services are available but will cost significantly more because of the 42-mile distance between BUR and Anaheim. Because it is a much smaller airport, it is faster to get in and out of and is the most convenient airport to fly into if you’re planning to stay near Universal Studios or Six Flags Magic Mountain. It’s also convenient if you’re staying in Hollywood or Downtown, especially with direct access to the airport by Metrolink. South of Los Angeles, Long Beach Airport (LGB) offers easy access to Long Beach, Downtown Los Angeles and northern Orange County, Compared to LAX and Burbank Hollywood, LGB is much smaller, only offering domestic flights. The airport is served by American, Delta, JetBlue and Southwest. Hawaiian Airlines began service to Honolulu on June 1, 2018. JetBlue has the busiest schedule out of LGB, offering direct service to 13 cities including Austin, Boston, New York, and Seattle. Southwest offers direct service from four cities, while American and Delta only offer one flight to their hub cities. Unlike the other airports, LGB only offers public transportation service through Long Beach Transit. Metro Rail service is a short distance away, but is only accessible by taxi. As with other airports, taxis, limousine and shuttle services are all readily available at the airport. Be sure to check their list of approved ground service providers so you don't fall victim to a taxi scam. Because it is nearby to Orange County, theme park travelers should have no problems getting to their preferred resorts from LGB. By taxi, you can expect to pay $37 to get to Knott's Berry Farm and $45 to Disneyland or the cruise line terminals. Ridesharing is also available, and can sometimes be cheaper. While the airport offers competitive ground transportation rates to popular destinations, the lack of airlines makes LGB a little more difficult to get to. If you live in a city that is served by one of the five airports, this may be a cost-effective option. Otherwise, you are better served by looking at the other airports. John Wayne Airport, Orange County (SNA) in Santa Ana, gets its namesake from the movie star. Many travelers stop to pose with the larger-than-life statue of the star located on the arrivals level near baggage check. The only airport located in Orange County (home of Disneyland and Knott's Berry Farm), SNA is served by seven airlines: Alaska, American, Delta, Frontier, Southwest, United, and Canadian carrier WestJet. Southwest leads all carriers at SNA with 11 regular flights to the Southern California airport, followed by Alaska with nine flights. American, Delta and United all offer service to SNA from many of their hub airports across the United States, while Frontier offers one flight. In addition to taxi and rideshare ground services, many of the top attractions are located nearby SNA. Disneyland offers their Disneyland Resort Express bus service from the airport to the theme park for a small fee. Other public transportation options include OCTA busses, The IShuttle, and Metrolink light rail accessible by shuttle. While taxis are an option, expect to pay around $42 in fares before tip to get to Disneyland. Overall, SNA is larger than Long Beach or Burbank, offering more traveler services on site and many more flights, but still comfortably convenient to navigate. It is the closest airport to Disneyland as well as Orange County beach cities and business destinations. Not to be confused with the province in Canada, Ontario International Airport (ONT) serves the Southern California “Inland Empire” of Riverside and San Bernardino Counties. After winning their independence from the Los Angeles World Airports, the airport authority is growing much more aggressive in bringing airlines and passengers through their terminal. The airport is served by eight international airlines, including Alaska, American, Delta, Frontier, Southwest and United, along with international carriers China Airlines and Volaris. Of the American carriers, Southwest offers the most direct routes with nine cities flying directly to ONT. Frontier offers three flights to the airport, while American and United offer direct flights from two of their hubs. Alaska offers direct flights from Seattle and Portland, Oregon, and Delta only offers one flight into ONT, from Salt Lake City. Although the airport may be more convenient for travelers to the "Inland Empire," getting around may be slightly more difficult. Public transportation and shuttles are available but run on different schedules. Omnitrans, the major bus line in the area, offers daily service from the airport throughout Ontario and offers connections to the Metrolink stations. Getting to Disneyland can be a challenge, as the airport is about 35 miles northeast of Disneyland and 11 miles from the L.A. County Fairgrounds. Disney does not offer bus services from the airport to their resort, leaving you to either navigate by public transportation on the Omnibus and Metrolink. Taxi service is available, but may be costly. Overall, ONT is not the most convenient airport for amusement park travelers, but it is an option for race fans. ONT is not far from Auto Club Speedway, which hosts NASCAR and Indy Car races every year.